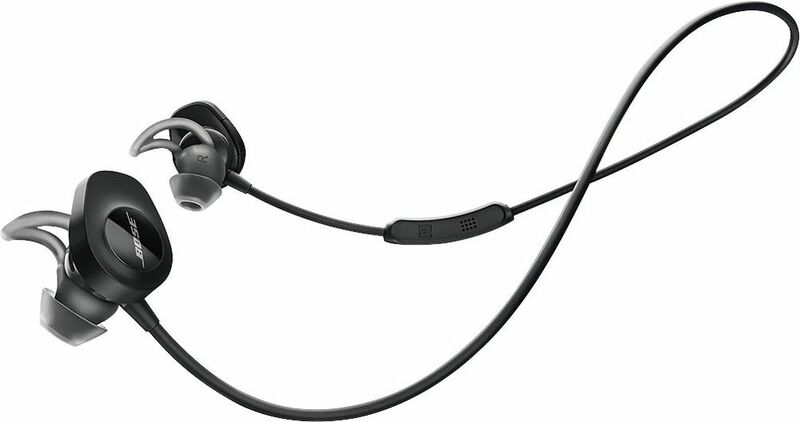 FeaturesBose SoundSport wireless headphones In-ear wireless headphones designed for rigorous workouts with sweat and weather resistant materials combined with StayHear®+ tips for comfort and stability. The Lithium-ion battery delivers up to 6 hours per charge to keep you moving. 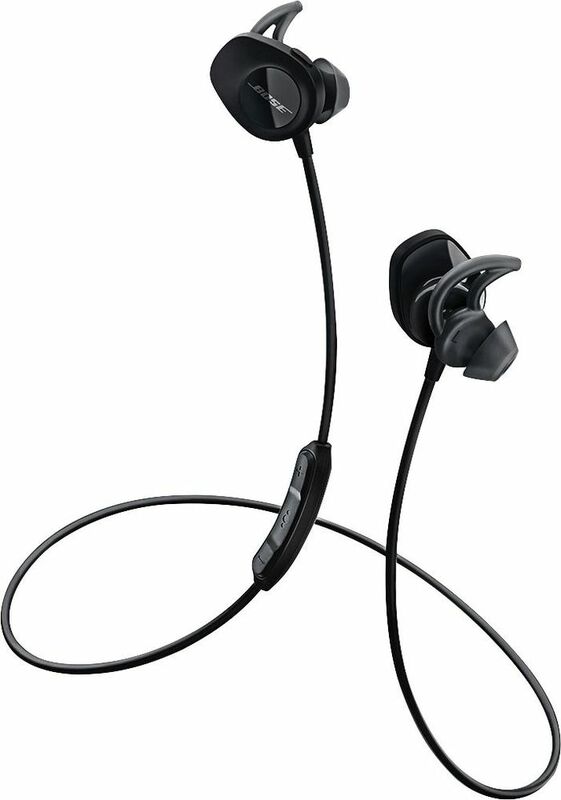 Wireless connectivity Bluetooth® and NFC pairing so you can connect to your devices wirelessly. Easy controls An inline mic and remote lets you conveniently control volume, skip tracks and take calls, all without reaching for your device. 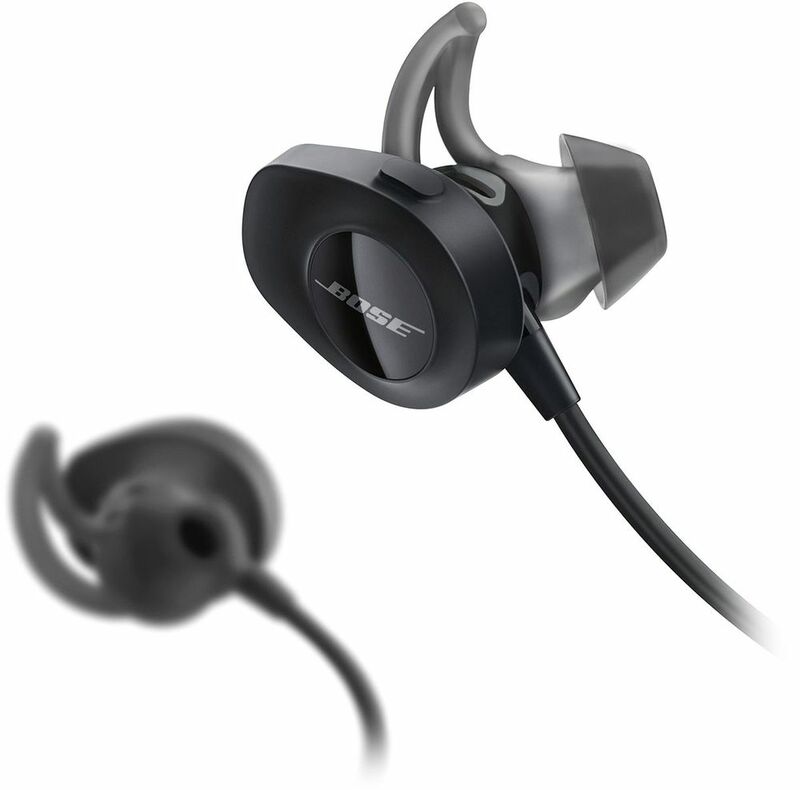 Bose® Connect app Makes controlling and switching between multiple devices easy, and continually adds more functionality to your headphones.